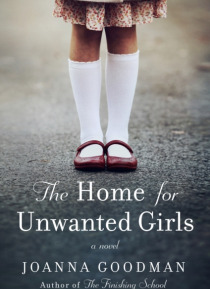 Philomena meets Orphan Train in this suspenseful, provocative novel filled with love, secrets, and deceitthe story of a young unwed mother who is forcibly separated from her daughter at birth and the lengths to which they go to find each other.In 1950s Quebec, French and English tolerate each other with precarious civilitymuch like Maggie Hughes parents. Maggies English-speaking father has ambitio… ns for his daughter that dont include marriage to the poor French boy on the next farm over. But Maggies heart is captured by Gabriel Phnix. When she becomes pregnant at fifteen, her parents force her togive baby Elodie up for adoption and get her life back on track.Elodie is raised in Quebecs impoverished orphanage system. Its a precarious enough existence that takes a tragic turnwhen Elodie, along with thousands of other orphans in Quebec, is declared mentally ill as the result of a new law that provides morefunding to psychiatric hospitals than to orphanages. Bright and determined, Elodie withstands abysmal treatment at the nuns hands, finallyearning her freedom at seventeen, when she is thrust into an alien, often unnerving world.Maggie, married to a businessman eager to start a family, cannot forget the daughter she was forced to abandon, and a chance reconnection with Gabriel spurs a wrenching choice. As time passes, the stories of Maggie and Elodie intertwine but never touch, until Maggie realizes she must take what she wants from life and go in search of her long-lost daughter, finally reclaiming the truth that has been denied them both.